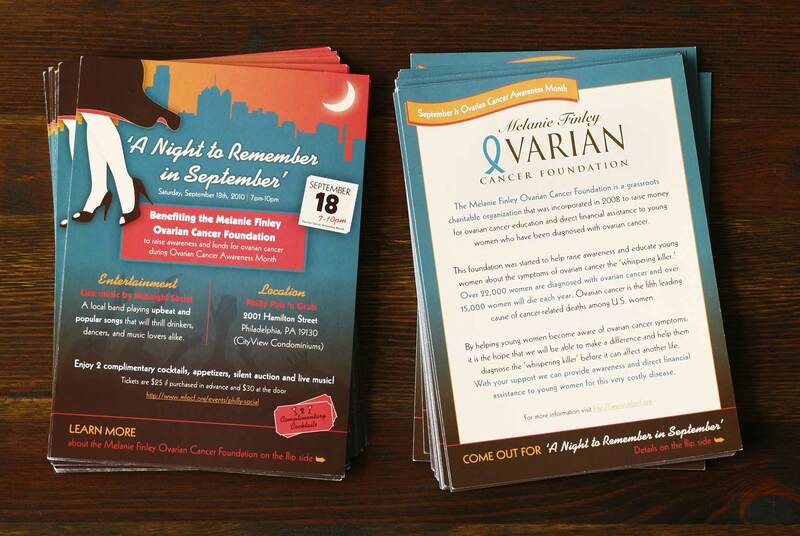 Melanie Finely needed a promo card to promote an educational local charity event in its fight against ovarian cancer during Ovarian Cancer Awareness Month. SSC went for a night out in the city look & feel representing live music, classy and fun. Design incurporates blue (the color for ovarian cancer) and pink for a feminine nod (since since the disease effects women.) The city skyline, subtle crowd representation, bright orange/coral as pop colors pull the aesthetic together.